Supposed that you are listening to music that is streamed from Internet radio stations or websites, you would like to record what you hear for later playback. So what will you do? Maybe the first one come from your mind is to download it directly. To some extent, it seems hard to do that considering online sites have usually put security measures into practice. Luckily, there will always be an approach that aiming at giving you a hand to solve this problem easily. Here come streaming audio recorders, with which you can capture any streaming audios from thousands of audio sources on any websites. These specialized recording tools are well designed on the basis of a theory that using computer's sound cast to record streaming audio. 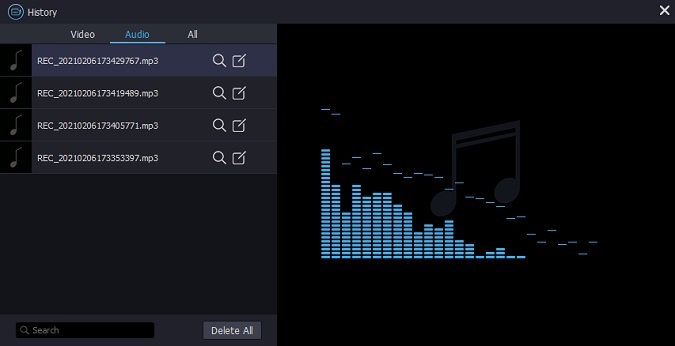 Any sounds, like system sound, microphone sound, game track, online radio and other music streams from the Internet output by your computer can be grabbed by such kinds of programs. One of the shortcomings of some streaming audio recorders is that a noise output from your computer during the capturing process of streaming music will be recorded in your destination audio file. In this case, you wonder how you can use more professional capturing software to record steaming audios without such an unpredictable intervention involved. Now follow me to unlock your doubt! It is necessary to equip your computer with a professional audio capture in order to well create streaming audio files from online sources with delighting performance. Here Joyoshare Screen Recordercomes to rescue. As a full-featured video and audio recording program, it can capture any audio on your PC, for instance, streaming music, online radio, as well as microphone voice, system sound, etc. 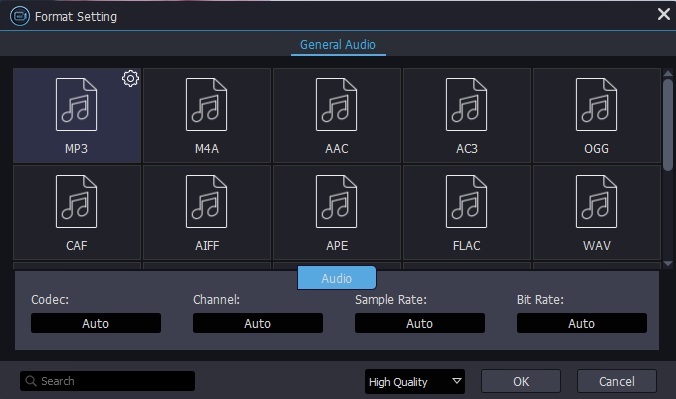 What's more, you are allowed to output the recorded streaming audio with multiple popular formats, including MP3, AAC, MAV, FLAC, M4A and M4B. 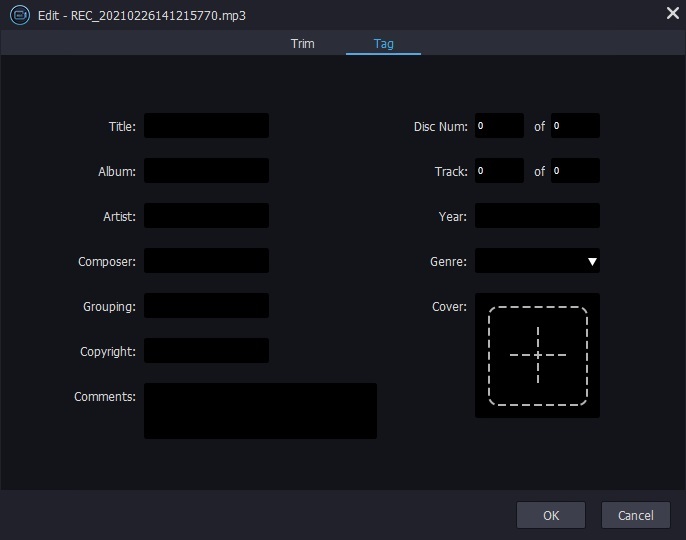 The resulted audio is available to edit, with the option to revise streaming audio file's name, the ID3 tags, like title, album, track, composer, etc. Most importantly, Joyoshare streaming audio recorder can provide a unique platform for you to close system audio to avoid unexpected interference and keep high quality as same as the original one. Taking advantage of it ultimately, you will find a wealth of thoughtfully designed settings that entitle you to create a scheduled task by setting up exact start time and stop time in advance, show cursor, choose output format and so on. Of course, it can at the same time work as an advanced video recorder to capture any desktop activities if you need. 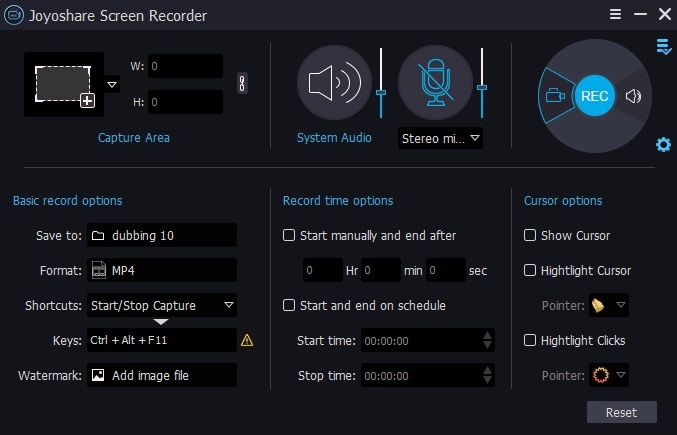 How to record streaming audio with Joyoshare Screen Recorder? Once you have installed Joyoshare Screen Recorder on your computer, you can directly run it and then there will pop up a window. Click the icon next to "REC" button so that you can capture streaming audio only. Besides, you'd better to disable the "System Audio" and just left microphone sound to make your recording clear without any other unwanted noise. To show all setting options on the interface, you have right to not hide it. Simply click "settings" gear icon at bottom right corner, presenting the following personalized designs: basic record options, record time options together with cursor options, among which you can customize your streaming audio based on your own preference. 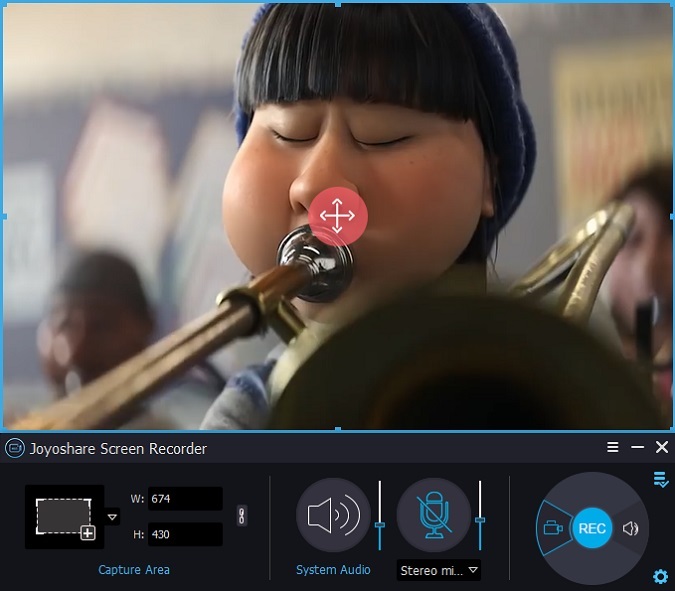 At present, Joyoshare streaming audio capture supports almost popular output format, MP3, AAC, MAV, FLAC, M4A and M4B are involved, which have been widely used for audio file by plenty of users. If you desire to use it record your YouTube video, you can see more details. Now it is time for you to open one of your favorite programs and click the red button "REC". After that, the capturing process will begin. You can revise its file name if Joyoshare Streaming Audio Recorder didn't recognize it. Meanwhile, it is supportable to edit ID3 tags, which are made up of title, composer, year, cover and so on. Can You Record Facebook Calls?